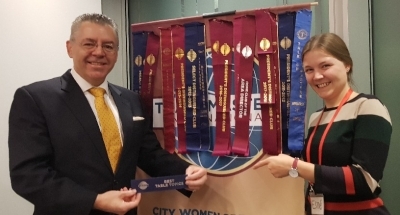 City Women Speakers; Toastmasters International. David Stringer-Lamarre, MD of FortisCL was very pleased to have been invited to attend a meeting of the City Women Speakers. He said that they are a dynamic, welcoming and supportive group. David was honoured to be voted winner of ‘Best Table Topic’ impromptu speech.